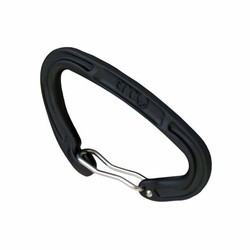 ENO Standard Carabiner. Eagles Nest Outfitters. ENO's Aluminum Wiregate Carabiner is all kinds of awesome. The wiregate opening is free of sharp edges, reducing the chance of frustrating material damage.